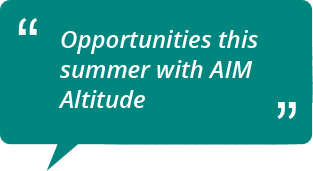 There are no current vacancies within AIM Altitude NZ. There are no current vacancies within AIM Altitude Christchurch, NZ. I’m in my third year of my apprenticeship. I am training to become a composite fitter. The part I enjoy most is the finishing side, as it requires more concentration and precision. 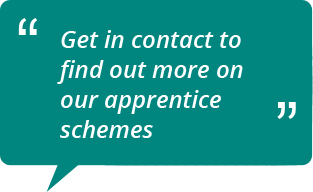 Once my apprenticeship is over I hope to achieve a full career with the company. I love my job as a VP Corporate Accounts based in Asia. It’s such a vibrant, diverse and fascinating part of the world with amazing food! Working with airlines to create a unique cabin experience and delivering our product to them is incredibly satisfying. I’m Industrial Designer for AIM Altitude’s division in Auckland, New Zealand. My work days are varied, sometimes designing concepts for current sales bids, working alongside the engineering teams developing product details for ongoing projects or exploring new business opportunities in development projects. It is great to see your initial concept become reality and that this whole process is followed through in-house, in facilities across the globe. I have worked for AIM Altitude for 40 years, the majority of that time as Chief Designer and Technical Director. Since 1981 I have been the interface with Airworthiness Authorities and customers for major projects. The projects we have designed, manufactured and certified in this time continue to be incredibly varied, always challenging and enjoyable. Aviation is a small industry and it’s the people I have worked with that have made it such an exciting industry. In my 5 years as Product Support Engineer for AIM Altitude, I have gained invaluable experience working with Flight Line operations for BOEING & AIRBUS. It has proven to be a rewarding position as my level of involvement in supporting handover has led to the on-time delivery and satisfaction of many a customer.